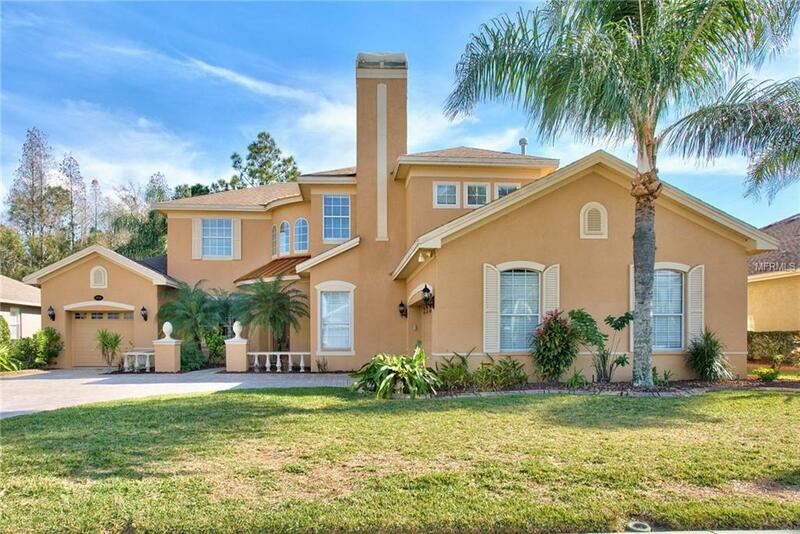 Stunning Four Seasons Model on a Conservation Lot in the Heart of Ivy Lake Estates . This Executive Style Home Features 3899 Sq Ft with 5 bedrooms 3 Full Baths and a Split 3 Car Garage. Upon arrival you are Greeted with an Over-sized Front Driveway Featuring Custom Brick Pavers. 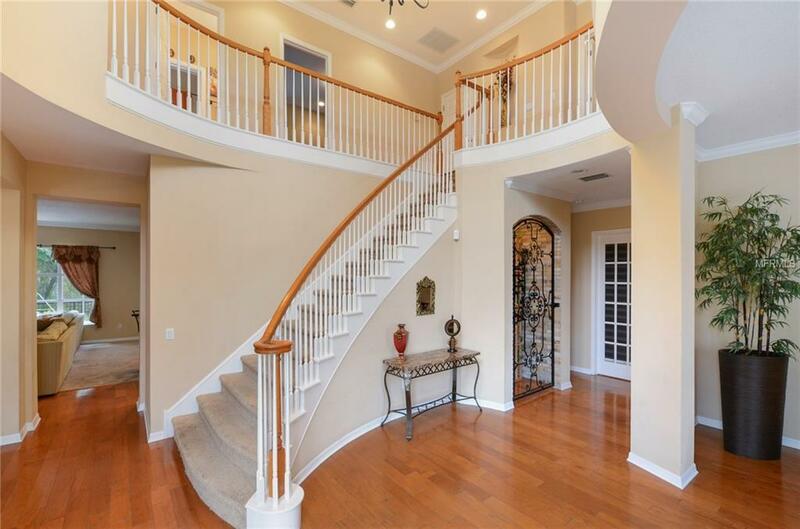 Enter through the Double French Doors into a Lavish Open Foyer Featuring a Rotunda Staircase , Formal Living and separate Dining Room. Don't miss the Designer Wine Closet on route to the Ground Floor Bedroom/Office. Open Plan Gourmet Kitchen Features Stainless Appliances,Double Ovens & Gas Cook-Top for the Aspiring Chef.The Main Living Room is Spacious and Inviting for any Family to Enjoy. 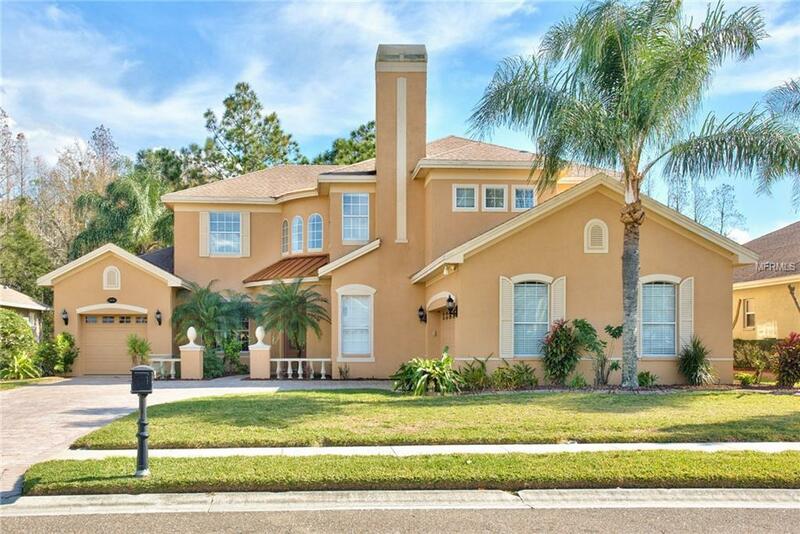 This Home Includes an "In House Family Theater" Room Great for Watching all your Favorite Movies.Head Outside to The Pool and Spa Featuring a Fully Screened Lanai to Enjoy the Florida Sunshine. Custom Pavers dawn this great space that's Perfect For BBQ's and Entertaining. A Full Bath with Shower is Conveniently located by the Pool. 2nd Floor Features an Office/Den area Overlooking the lower level . Master Bedroom is Huge with a Beautiful Master Bathroom with 2 Large Walk In Closets. Further 3 Guest Bedrooms and Guest Bath Complete the 2nd Level.Don't miss out on the opportunity to move to this Great Community and live close to all the Local Amenities that Tampa has to offer. Beaches, Shops , Outlet Mall with Top Restaurant's, Airport, Sports Arenas, local Golf Courses are all only a short distance away.